Chef Vitaly Paley has opened his fifth restaurant in Portland, Rosa Rosa at 750 S.W. Alder St., on the ground floor of the Dossier Hotel. The James Beard Award-winning chef also has Paley's Place, Imperial, Headwaters and The Crown. He opened Rosa Rosa with his partner and wife, Kimberly Paley, and executive chef Kenny Giambalvo. Rosa Rosa was named after Paley's grandmother and as an ode to the City of Roses. It takes inspiration from the rich culinary traditions of the Ottoman and Roman empires, from the Caucasus Mountains to the Mediterranean Sea. Portland's TidalWave Comics has gone to rock and roll for its latest productions. 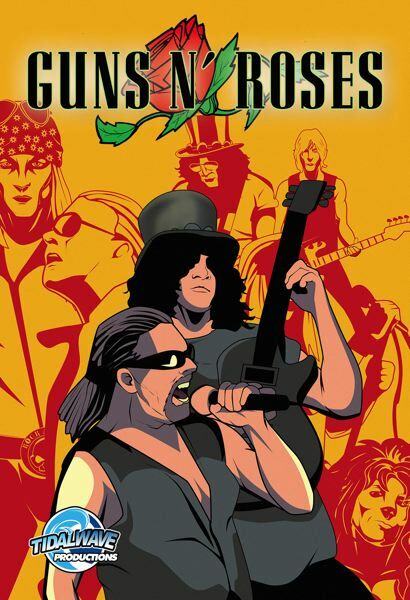 "Orbit: Guns N' Roses" examines the rise of the band of Axl Rose and Slash, their exposure through MTV, a life of drugs, booze and eager groupies, and their fall from grace. It was written by Michael L. Frizell with art by Jayfri Hashim. Famed album artist David Frizell designed a special cover. 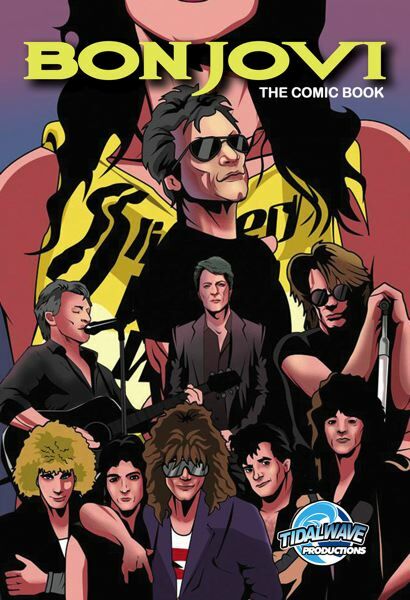 "Orbit: Bon Jovi" is a sequel to "Fame: Bon Jovi," and it explores the myth behind the band, creative impulses and drive to be fulfilled artistically, as well as Jon Bon Jovi's humanitarian and philanthropic side. For more: www.tidalwavecomics.com. J. Cheema, a marketing and strategy consultant from Portland, competed on "America's Favorite Quiz Show" Friday, Nov. 23, on which he won $28,000, and advanced to Monday, Nov. 26 ($1,000). Now it's Brian Panulla's turn. He's a software engineer from Portland who will compete on "Jeopardy!" on Wednesday, Dec. 5 (7 p.m. KATU). To follow his progress, see www.Jeopardy.com. Meanwhile, the 80-some artist lineup has started to be assembled. It includes: "Dance the Night Away" by Ivan McLean, a 10-foot-tall giant disco ball mounted 20 feet in the air; "Stories Under the Bridges" by Cheryl Leontina, a documentary screener on wheels; and "Raining Photons" by Fritz Koenig, a 20-foot-long wall of touch-reactive LEDs. The collaboration of Portland Jazz Composers Ensemble, vocalist Marilyn Keller, musician Ezra Weiss and lyricist S. Renee Mitchell, was put on in Eastern Oregon and Portland, examining race relations — including prejudice and migration — in the state's history. A studio recording also was produced and is available by digital download or CD. PJCE and the others will perform "From Maxville to Vanport" again Feb. 28 at Oregon State University and on March 3 at the Mission Theater in Portland. Summer isn't the only time for kids to go to camp. Clackamas Community College's Environmental Learning Center has winter options for little ones to explore and learn about nature. The Nature Strides Preschool one-day sessions take place Dec. 4-5 and Dec. 18-19 (Winter's Welcome), Jan. 8-9 and Jan. 22-23 (Animal Tracks) and Feb. 12, Feb. 26-27 (Wetland Wonders). There also are Winter Break Camps — Nature Mysteries (Jan. 2) and Tracking and Survival Skills (Jan. 3-4).